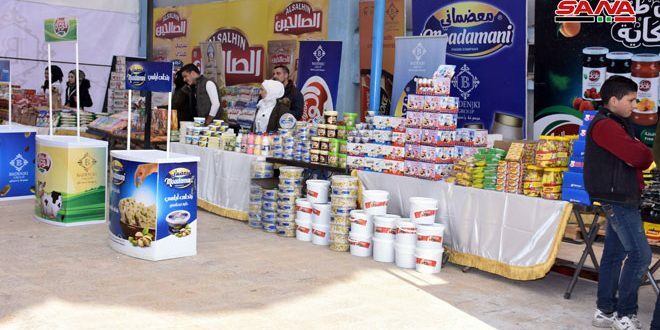 Aleppo, SANA- The Armenian Consulate in Aleppo held a reception ceremony on Friday marking the 27th Independence Day of the Armenian Republic at Aleppo Scientific Institute. 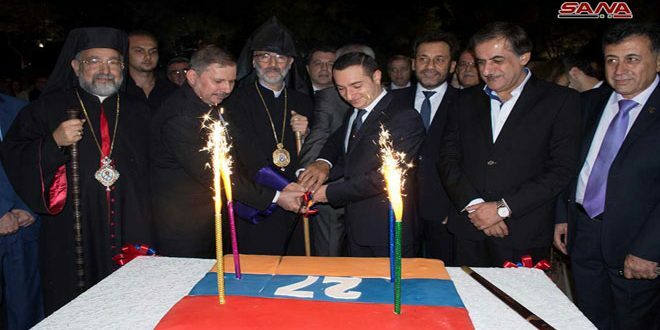 Armenian Minister of Expatriates Mkhitar Hayrapetyan expressed happiness over being in Syria to celebrate the 27th Independence Day along with the Armenian people who live in Syria. Hayrapetyan referred to the Ottoman genocide against the Armenians as they were displaced due to the Ottoman oppression, and Syria embraced them and provided the proper care for them. 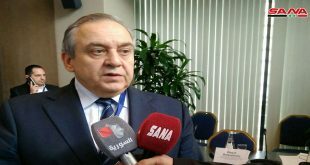 The Armenian Minister hailed the distinguished relations binding the Syrian and Armenian people. 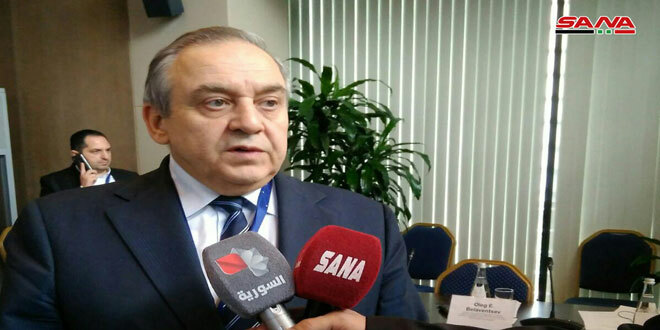 For his part, Armenian Consul General of Aleppo Armen Sarkissian said that the Armenian ancestors found safety in Syria and they considered it as their second homeland, and the Syrian people were a true friend for them. 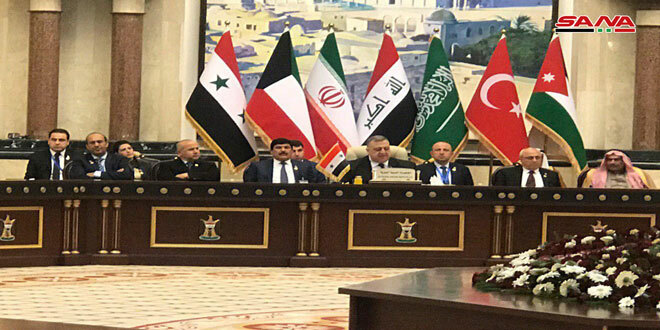 Sarkissian added that the Armenian people have proved through their steadfastness their eligibility to live in the Syrian Arab Republic within the brotherly and friendly relations with the Syrian people. 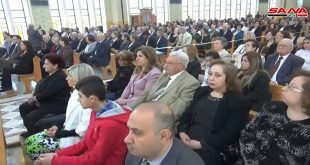 Head of the Armenian Evangelical community of Syria in Aleppo Haroutiun Selimian said that on occasion of Armenia’s Independence Day, congratulations should be extended to Syria which is the cradle and the homeland that embraced the Armenian people who fled away from the Ottoman massacres against them. 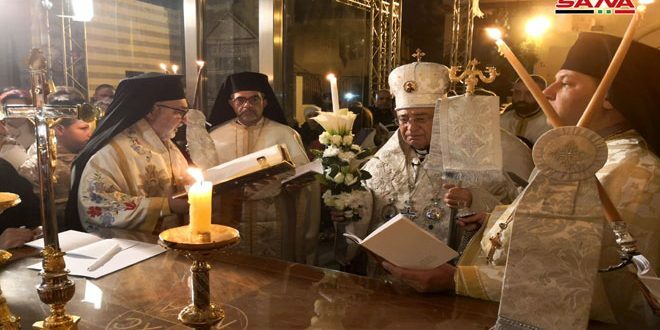 “We the Syrians of Armenian origin congratulate each other on this occasion, wishing that every inch of Syria will be united and it will be freed from terrorism and that happiness will spread across Syria,” Selimian said. 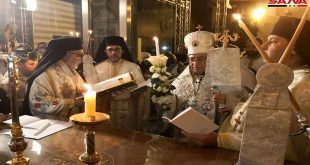 The reception ceremony was attended by Armenian Ambassador in Damascus Arshak Poladian and a number of social figures and Christian clergymen.